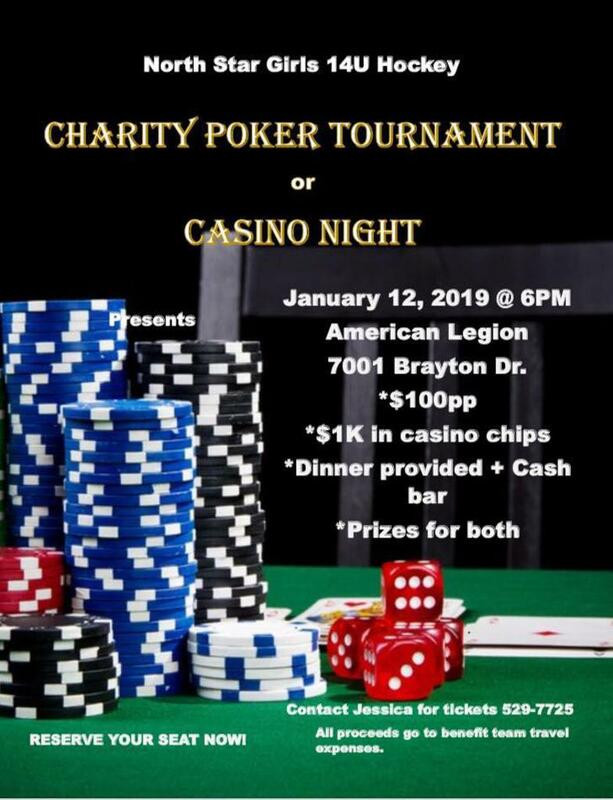 On Saturday, January 12th, 2019, Our North Stars 14U Girls Hockey team will be hosting a Charity Poker Tournament at American Legion off 7001 Brayton Drive. All proceeds will go to offset team travel expenses. $100 ticket per person, you will receive $1000 in casino chips and dinner will be provided. Cash bar will also be available.